If you’re a frequent traveler who needs to keep in touch with the world, there’s really nothing like a universal 3G data card dongle. With easily available SIM cards and fairly widespread 3G networks, you can easily stay connected to the internet with an affordable 3G data card since you already have a SIM card on your mobile phone. Universal 3G dongles give you the freedom to choose your network operator according to where you will be, and are generally more flexible, since you can always carry multiple SIMs in case there’s no network of a specific provider in an area. Our previous article about the top 5 universal 3G data card dongles listed devices that had maximum download speed support of 7.2 Mbps, a far cry from current maxed out speeds of 21.6 Mbps, better known as HSDPA. In areas that support it, you can get even better speeds with these high speed universal 3G data card dongles, so here’s our picks if you’re interested in getting one! 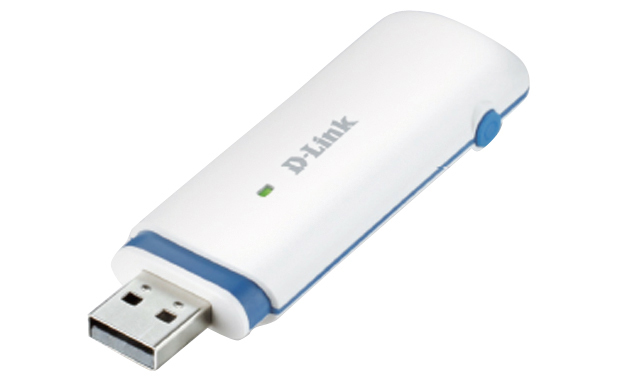 The most affordable 3G universal data card dongle on our list comes courtesy of D-Link, a well known networking device manufacturer from Taiwan. The DWP-157 (not to be confused with the DWP-156) is a budget device, but packs in pretty much all the features you will need. As mentioned above, it supports HSPA, has a phonebook facility, memory card support upto 32 GB and even has call support! With a 3 year warranty and solid build quality, there’s really nothing to complain about at this price! 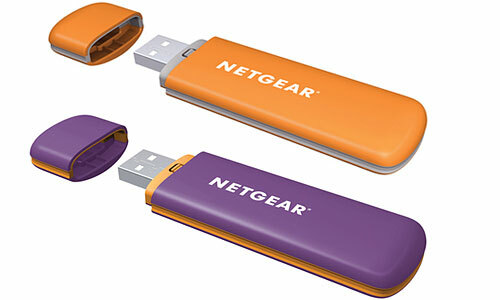 This rather brightly colored universal 3G dongle from Netgear may not appeal to some users, but if you don’t mind the color, it’s one the best out there! Again, it supports high speed 3G networks and also includes memory card and call support like most of the devices on this list, but what makes it stand out is the compatibility with Windows, Mac OS X and Linux alike. The 1 year warranty period might also turn off some potential buyers, but it’s a great device nonetheless. Next up is our very own desi offering, the Micromax MMX 210G. Now one of the largest mobile phone manufacturers in the world, Micromax has been steadily gaining popularity and has even roped in Hollywood star Hugh Jackman as their brand ambassador! The MMX 210G is a fully loaded yet affordable universal 3G data card dongle that packs in features like call support, expandable storage support, a phonebook and SMS memory. It’s slick looking and well worth the price! 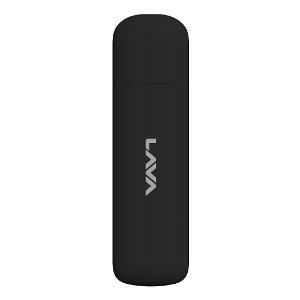 Our second Indian manufactured device on the list, the Lava 21G is a premium looking universal 3G data card dongle that supports HSPA networks for super fast internet where available. It has a Qualcomm 8200A chipset, includes phonebook and expandable storage support, but unfortunately doesn’t have calling support. But if you’re going to use it only for browsing the internet, the Lava 21G is definitely a device to look out for! Last but definitely not the least is the Huawei E8231, product of the largest communications equipment maker in the world. The E8231 is a fantastic device, pretty much made for sharing internet. It’s the only one here with mobile WiFi support, and can share internet with upto 10 devices, with external power. There’s SMS support, but unfortunately no calling or expandable storage support, so if you’re planning to use it to call, you’re out of luck. What it does really well, however, is create a mobile network for business on the go. A great pick for business users! Those were our picks for the refreshed universal 3G data card dongle list for 2014, with HSPA support! If you think there’s another device that should be on this list, do let us know. And as always, queries are welcome! Better to use your androids / Windows Phone’s wifi hotspot feature to share the internet connection with your laptop..
Infact I used to use phone’s modem feature well before androids took the market.. With my Nokia N Series !! Data Cards from Indian companies like micromax, iball etc. are not good and have many issues. We’ve used them and had no issues, anything particular you faced? Sorry could you please be clearer? Right now I’m using Micromax Ninja A57 mobile and internet on mobile. And i am going to buy the 3G wifi hispeed usb dongle/ data card within a few days but , here i m little bit confused betn. using internet through mobile wifi hotspot device and with usb datacard. 1. Want to know difference in use betn mobile internet and through usb data carda/dongle , speed wise ,performance wise : which one would be better. 2. I hd visited the Tata docomo store for inquiry about usb dongle , informed me that the device would come in rs. 2000, max wifi device connectivity 5 devices, and the other thing he told me that there are same plan for both networks CDMA and GSM, and going with CDMA is better than GSM ! I asked him y? and how? in brf he said , by network connectivity cdma is btr dn gsm! Is it true? and then which one should i buy! I have thought abt to buy the universel usb data card , but after this stuck what to do next? what to choos CDMA or GSM ?????!!!!!! And thank you very much for sharing all these technical information on the web, it really helps to needed person like me! Hello Shyamal, I’ll be happy to help you out! 1. They’re pretty much the same, except that mobile phones aren’t really meant to be modems for too long. They can heat up and consume a lot of battery, so dongles are better suited for regular use. 2. CDMA is marginally better in terms of network connectivity because its device specific, but realistically you won’t notice much difference. GSM is SIM based, so you can’t get a universal CDMA dongles, all of them are GSM. In terms of freedom and ease of use, I’d suggest a universal 3G dongle. Thanking you for your suggestive reply. And It cleared my mind well about the thing to buy. i stay out of india for most of the time due to my job, do these work with sim cards of other countries too? If so please help me in selecting one of these 5 datacard dongles which has maximum useful features. Yes, they will work. I’d say go for the Huawei. Just gone through the suggestions given above. I want to know which of the 5 dongles work in rurel area. How can one know that which dongle’s speed is the best in rural and urban areas. Tata docomo’s dongle does not work in rural area. The dongles which accepts sim cards of any company are better economically because as I have gone through the tariff plans of airtel and other companies, they are quite costly. I am a frequent user if youtube and do by online studies from youtube. I need to know which doungle will sute my need best. The only way to find out is to find out what mobile network works best there because dongles use the same network. That’s a good device. It doesn’t have the built in hotspot facility though. Which is best ….factory locked dongles such as mts idea airtel etc or universal dongles with sim inserted in it…which will be fastest…. Both are about the same and depend on the network. For flexibility, I recommend a universal dongle. How would you rate an Airtel dongle? And what about its prepaid connectivity? In areas where Airtel has a strong network, it’s pretty good. The connectivity depends on the mobile network. 1st of all thank you so much for taking out time and posting such a wonderful article. I am looking for a good quality data card that is reliable and stable as I need to do lot of testing. As a part of my routine, I have to test several websites for one of my client and each website needs to be tested across different mobile operators, at least Idea, Airtel, Vodafone, BSNL and Tata Docomo. Initially I had a thought of purchasing 2 dual SIMM dual mode/standby mobile phones to in which I can insert SIMM cards of 4 different operators and also avoid the hassles of removing and inserting SIMM cards frequently but that is not a viable option. I am using android emulators like BlueStacks, chrome plugins etc to emulate any android device but that is currently limited to my broadband connection. I am looking for a good quality data card with Wi-Fi, SMS and calling support as a additional advantage. Do you think you can suggest me a good data card which will help me on the longer run. There is no budget restriction whatsoever. I finally decided to go with your 1st recommendation, Huawei E8231. Once again thanks for the quick help. I have been wanting to buy a universal data card as Huawei 8231. However, not sure how to ascertain which service provider will give me good connectivity. Taata Photon, Airtel or others. Is there a website which can help us ascertain good connectivity in our area. After all none of us would want to buy an ubiv dongle test multiple sims and then decide which one is best for us. Your thoughts please. There’s unfortunately no website to tell you how good network connectivity is, the best way to find out would be word of mouth. You can ask around to see what network people around you are most satisfied with in an area. tell me the names + price ? Get the E8231, it’s now under Rs. 2000. No, it will be the same. Anything from the above will do, take your pick! Any recommendations for a data card…..
– Work with Windows & Linux too. – future proof (4G?) for some time! Hello, can you tell me which one is best dongle with a great speed and wifi.The dongle should support windows 8 laptop.My bujget is 1800/-. Go for any of the 5 mentioned here. Go for the Huawei one on this list. Good connectivity (in city outskirts).. Pretty much all of these dongles have what you need, you can go with any one. The connectivity, however, depends on the SIM and network. Would you kindly tell me about some of these 3G Modem as described below. I am going to buy a 3G Modem, I don’t know which one is better. pls give me suggestion about these 3G Modem. Which will be better and durable Modem? Depends on your usage, the E5220 is more of a mobile WiFi router, if you want to share your connection, go for that. i want a data card for working on sbi kiosak online banking..
please suggest me a best data card for high speed interner access..
Go for any of the dongles mentioned here and get a SIM from a network provider that has good signal strength where you will use it. I want best netsetter from above I confuse to get .. The ones that have call support are mentioned in the descriptions, go for the one that has the features you want. Can u plzzz tell whether airway data card is good or D link DWP 157 is good. You can pick up any one of the above. They’re all GSM based though, you won’t be able to use CDMA networks because they’re not SIM based. what is average speed of e8231 in bsnl 2g edge ? Can I make skype video call by huawei E8231 ? As long as the network is fast enough, yes. i want to ask you what is the difference between buying a Huawei universal dongle vs a Huawei networked modem like MTS and getting it unlocked is there any advantage in doing so rather than buying directly a universal modem? They’re basically the same, the network bound ones are usually just stamped with a network, but the hardware is more or less the same. It’s better to get a universal one and skip the unlocking process. You won’t be able to get support for unlocked dongles either. I just wanted to let people know that if you are planning to buy D-link data card online you would not get warranty. As per official website of dlink, http://www.dlink.co.in/support/, Ecommerce and online websites are not authorized D-Link resellers in India. I stumbled upon this while doing a research on best data card. Also, netgear datacard carries one year warranty per online sellers however, as per their website they provide two years. CDMA networks aren’t SIM based, you’ll need to get a GSM based SIM. You can go for it. I need a 3g dongle with wifi as well micro sd card slot. My budget is 1500. Go for any one above. Get an Airtel or Idea SIM. Just pick up any one of these. Plz can you tell me which datacard dongle would be best for reliance gsm sim ?? You can go for any one of these, they’re all good! Unfortunately, these are all GSM based data cards. Btw I m using mbp 2015. Is dlink dongle v plug n play support for mbp ? Is it capable to connect multiple device like iPad. Mob. Mbp togather via wifi ? It depends on which model you’re talking about, if it mentions WiFi support you can connect multiple devices. Plug and play is not guaranteed, however. You’ll probably need to install drivers. I am looking for a 3G dongle which I can use in western and southern india. Which dongle do you recommend? Which SIM should I choose? voda airtel reliance or idea? Trust the data cards recommended by you are sim neutral. Also what kind if sim eill fit in? for e.g. 3g phone card the sim size is different from 2g. They accept normal size SIM cards, and can be used with pretty much any SIM. I’d say go for the Huawei E8231. As for the SIM, your best bet for a wide network would be Airtel or Idea. Which data card will provide fastest internet connection from remote areas ( small town ). And i require a prepaid One. Which one you would like me to suggest ? Can invest upto 5000. That sort of depends on the network you opt for, even if you get a really powerful dongle, the network has to be strong enough. If you decide to go for a universal dongle, you’ll probably need to get a SIM from a provider like Airtel, Idea or Reliance. You probably won’t need to put in that much money either, unless you want a mobile WiFi router type dongle. i want to buy a 3G wifi dongle. could you please tell me which is the best wifi dongle that can be used with computer to access internet and without computer plug and play wifi. You can get the Huawei E355. 1- It should be universal (Mean I can use any SIM with this card). 2- It should be wifi hotspot enable, so I can connect 4-5 device at a time. 3- I want to use it for long hour 10-12 hrs, so it should not get heat up. 4- Wifi range around 10 to 15 meeter will we good for me. 5- After sell service also one of my consideration . 7- Last but most imp is speed… it should be high speed.. around 21 Mbps will be good for me. Thank you very much for patience fully reading it.. and 4 your reply. I want a device which will be typically a cross breed between a pen drive and a smart phone. It should be small and light weight and should be a plug n play type like a pen drive. It should have high speed 3g, SIM slot, 1gb of RAM, around 1.2 GHZ of processor, memory to support at least 16 to 32 gb of memory card, GPS and an android platform. I have an android app which I wish to play once it is plugged in to the USB port of an amplifier or car stereo. Both the charging and the audio out should be through the same point. Please suggest: is there any such device available in the market – suggest. There’s no such specific device, but the closest you can get is a full fledged Windows or Linux computer in a pen drive form factor. I live in a village nearby Mahabub Nagar District. It is 10 km from the town. I am planning to buy a Internet Modem for Skype calling. I am confused between Universal 3G Data Card and Service provider. Could you please help me out. I would suggest you get a universal dongle so you have the freedom to use any SIM that has a good network, because in remote areas you don’t want to be stuck with one network. Hi rahul, how is huawei E3121, worth buying? Is Huawei E3121 is good to buy or i choose other? It’s a good device, go for it. i am looking for a data card dongle which supports the calling feature .please suggest me a device for it. There are quite a few, what budget are you looking at? What about Huawei E303 FH-1 Data card, its worth to buy and which SIM will be best fit for this? That’s decent too, you can use all normal SIMs in it. Go for a E392U-92 and E8231. Both have the same speed, but go for the PowerFi. I am using xioami mi pad tablet ..its wifi only tab.so I need any sim use wifi data card like tata portan plug and play data card .kindly suggest one..
And am confused about d link dwp 157 and netgear wifi datacard (853 _ Rs)..
Well you’ll need to root it first, that will void warranty. Are you okay with that? Well there are dongles specifically meant to be hotspots, but they’re more expensive. What’s your budget? I want to buy a data card for my girlfriend ..i am confused between the 2. 1. Dlink dwp 157 – read some reviews,many are saying that its a great device but after using it for 2-3 hours the device gets heated up ..besides this no issues ..
2. Huawei e-303fh – same, read some reviews, many are saying that its also a good device but the driver and software installation is very cumbersome, it creates problem while installing software for the same, eats up data also .. So please tell me which data card should i buy for her ?? These two only comes within my price point ..so your suggestion would be appreciated ..
You can also consider a ZTE MF 710 bro. 1)I was thinking of Huawae e3531 over huawae e303fh are they worthy & do they support the feature I mentioned above cause after searching the net I saw some say e3531 don’t have WiFi & some say it has WiFi so which is good? Well you can connect the E3531 as an internet source to your laptop and turn the laptop into a hotspot. What exactly is your budget though? What budget are you looking at? I’m sorry, could you please rephrase your question? Hi, I want a data card which have wifi enabled and should be compatible with both 2G and 3G sim. please suggest which one i should buy, budget is max 2000. 1. Locally available in Chennai ISUN 3G Power Wifi (HSMW-ISN3000) or above Huawei E8231…..Both are same? They promise the same speeds, but I’d rather go with Huawei, more reliable. Some reviews shown E3276 does not support indian networks. It will support Airtel 4G? The E8231 is not 4G, while the E3276-620 is. It supports Band 40 (2300 MHz) TD LTE, which is most widely used in India. Most cities with 4G as of now, except Chennai and NCR run on Band 40, so you should be able to use it no problem. Huawei E3276 Dongle support only 4G-TDD LTE 2300 MHz not FDD LTE 1800 MHz? You should be good to go with TDD-LTE 2300 MHz support, most networks are using that. No provider is going to ‘change’ bands. I want 4g / 3g data card with wifi and mobile hot spot support. I am not clear still which model is better and hi speed floor usage. 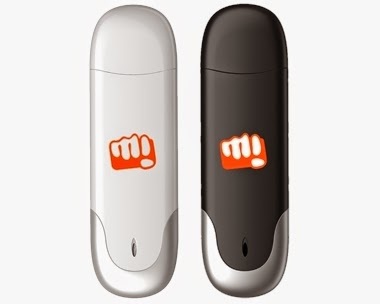 Past 19 months I was used Micromax datacard. But now it was so hot in one minute and also not working. Go for a Huawei E3276-620. I will be working from home for 2 months from a small town in uttar pradesh, allahabad. I do have a WiFi but for back up in case that doesn’t work, I need a dongle that has good speed. Which one would you suggest? I suggest you get an Airtel, Idea or Reliance dongle, they have decent coverage in Allahabad. I would like to express my heartfull thanks to you for providing the above valuable information.I too had a similar query as above…. We live in a Rural village where we will be getting enough mobile signal ,but not good strength to do office work from home in 2g network. Currently i am using airtel cdma dongle, where its difficult to browse and delay of mails even. I would like to go with Hauwei E8231, will it be helpful to boost the signal. Even universal dongles simply use the same network that provider specific dongles use, so there’s no difference between an Airtel branded dongle and a universal dongle with an Airtel SIM. If Airtel isn’t working well, I suggest you pick up a universal dongle and get a new SIM from another network provider who has better coverage in your area. There’s no way to boost the signals either, it just depends on the provider. I suggest you get a 4G dongle because you have the budget for it, plus they support 3G anyway. Go for a Huawei E3276. Yes it is, it’s just branded with a foreign network provider. Have you tried using any other USB ports? Try using a port behind your CPU. Firstly Thanks for the good infomation. Can you please let me me for any universal dongles what data plans are supported for the chosen service provider. E.g if i choose to go with Docomo they have Data plans which we use normally in our mobile phones. Alrernately they have data plans for their Data Cards such Tata photon and photons which have seperate data plans. For SIM used in universal dongles which data plan is supported ? For universal dongles you’ll need to get a phone SIM, basically. Those plans will apply. my job needs me to keep travelling from place to place inside U.A.E. so i need one of the dongles for my windows 8 lenovo laptop. Any suggestions? No budget limit. I’d recommend going for the Micromax MMX444L. Go for the Huawei, can’t really trust eBay. Have you checked out our new article on this though? I need to buy a universal 3G dongle? Which would cost the least? Please provide flipkart, amazon etc links for online shopping? There’s nothing fixed, some products are higher on one site and lower on the other. I recommend you just shortlist what you want and check on these sites. You could also try Makkhichoose. Any 4G universal dongles that you can recommend? Also are the plans different for dedicated dongles (Like Airtel 3G, Idea, etc.) and getting SIM cards and putting it in universal dongle? If yes, which ones are cheaper? So you mean you want a plug and play portable router? You also have the option of getting a mobile router to which you can connect a dongle. I need something like huawei 8278s but what is to be kept in mind before buying about 4g bands i am confused….Any model like that which supports 800,1800,2300 MHz and any other band that should be present in dongle support for india? hello, i wanna buy a multi-sim dongle for internet surfing upto rs 2000/2500 along with the wifi-hotspot, can u suggest me which one is the best? Could you suggest any dongles that have the WiFi hotspot option and that which is also compatible with windows 10?? I’m unable to find dongles compatible with windows 10. Also I read in one of the comments where you wrote that mobiles shouldnt be used as hotspots for long. Could you tell me approximately for how long is it suggested to use as a hotspot? Because I want to decide whether to buy a dongle based on this. If is okay to use it as a hotspot for an hour or two, then I wouldn’t be purchasing a dongle. Check out this post for a dongle, they’re all Windows 10 compatible. You can use a hotspot for an hour or two, it’s just that battery consumption of your phone increases.